The founders of the Stella Foundation, Giuseppe and Kathleen Ciucci, are both alumni of Stellenbosch University’s Faculty of Law and they have supported the Faculty for a number of years, both in the form of bursaries and by way of the Ciucci Law Development Initiative. 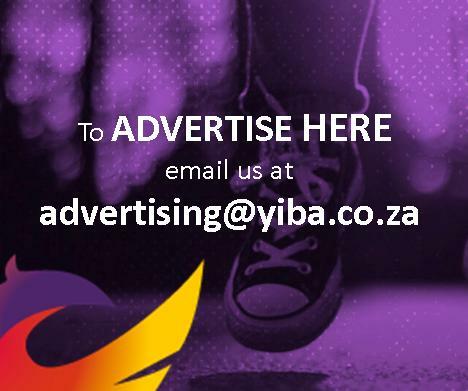 The objective of the Ciucci bursaries is to enable underprivileged students to obtain an outstanding academic qualification that will eventually lead to them making a positive contribution to society and the country in general. 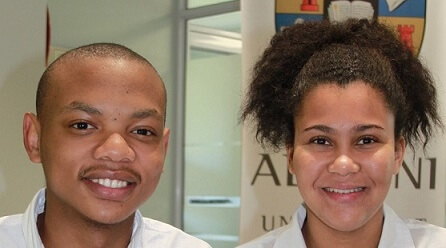 Kelly, who is studying towards a BA Law degree, and Thembalethu, who is registered for an LLB degree, are both extremely grateful, not only because this full scholarship removes the financial burden of studying but also because it turned their dreams into reachable goals. Thembalethu, who lost his mother when he was in Grade 7, moved to Cape Town in 2014 to live with an older sister and complete his schooling at Oaklands High School. He was inspired to study law after reading former president Nelson Mandela’s biography A long walk to freedom. He believes that everyone has a responsibility to do whatever they can in their sphere of influence to improve the situation in South Africa. Thembalethu’s desire to play a role in the public space was further encouraged by this bursary. He quotes Madiba who once said: “It is in your hands to create a better world for all who live in it”. For Thembalethu, the donors are a true embodiment of these words. Kelly would also like to have an impact on her community and broader society. “I would love to be an attorney, publisher and foundation/charity owner. I want to have a charity foundation named FLAG (Fight Like A Girl) aimed at uplifting women and children who are victims of abuse, albeit sexual, physical or mental. I also want to encourage children in crime-filled areas (like my neighbourhood at home) to stay in school. According to Kathleen Ciucci, they were very impressed with the students’ go-getter attitude.